The death of Ronnie Corbett announced today (March 31st, 2016) brings to an end one of the most popular and endearing comedy double acts the UK has ever known. Alongside his partner Ronnie Barker, The Two Ronnies show ran for 16 years on the BBC and regularly drew audiences of 17 million. So what was it about him that endeared him to UK TV audiences? As I see it, he embodied the three elements of any successful performer – or speaker: Likeability, Stage Presence and Material. 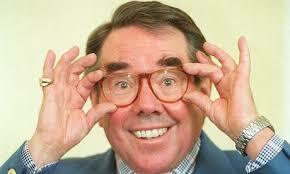 I do not know of anyone who disliked Ronnie Corbett. Do you? He exuded a warmth and friendliness that made him appear down to earth, natural and easy-going. It’s hard to pin down exactly what he did to achieve this – but it has to do with that big grin and idiosyncratic chuckle, the ever-present twinkle in his eye and the whimsical, self deprecating persona that he portrayed so well. Never appearing to take himself too seriously, Ronnie was the genial Uncle or the bloke in the pub that everybody wants to know, with a ready smile, a merry quip or a funny story to tell that cheers everybody up. The sort of person who makes you feel comfortable, who is always welcoming and who makes you feel good to be with – in other words a “life enhancer”. Ronnie was the perfect illustration of the fact that physical stature has nothing to do with stage presence. At 5ft 1 inch he was one of the smallest men in show business, yet he described his stature as “the cornerstone” of his success and said he had taken “full advantage” of it. His confidence and assuredness let everyone know he was “in charge” and that we were in safe hands. He had a remarkable ability to create an intimacy with a TV audience that made it seem he was just chatting to you at home – as demonstrated by his rambling stories “in the chair” that featured in every show. I put this last as most people think that a comedian is made by his “material”. Not so – Likeability and Stage Presence come first – in my opinion! If an audience likes you – and is comfortable in your “presence” – then the “material” is much easier to deliver! In fact – Ronnie is the perfect example that material is not in fact the be-all of comedy, as much of the material he used could be described as “corny”. Yet his charm and delivery of it made this a strength, not a weakness. We loved him for it! Few comedians could deliver his material and get the reaction he did. What made him so appealing was his own obvious delight in spinning a yarn, involving many asides and diversions, and getting many laughs along the way before the “punchline”. A rare skill indeed. I heard his producer speaking today on Radio 5 discussing the infamous “Four Candles” sketch, and he commented that as a “script” it wasn’t very funny to read. However – even though Ronnie Barker delivered the lines which revealed the “Fork Handles” misinterpretation – it was Ronnie Corbett who carried the sketch, with his reactions, impeccable timing, facial expressions and body language making it a “classic” and one of the all time great comedy TV routines. So material is important yes – but there is far more to a successful performance as a comedian – or as a speaker – than just having good material! Ronnie’s opening words immediately created a rapport with the audience: “Ladies and gentlemen – I am delighted to be your speaker this evening but I must confess I am always nervous when standing in front of such a massive organ”…. 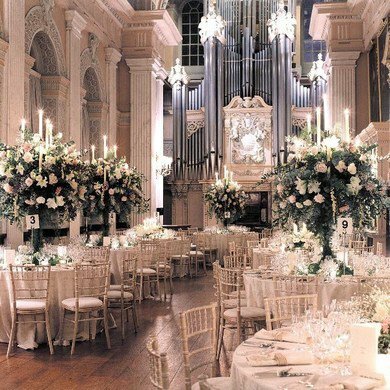 As you can see the Blenheim “Organ” is the main feature of the Long Library – and Ronnie’s unerring instinct to feature it in his opening remark got him off to a great start – though not the greatest “joke” it was topical and relevant to the event and endeared him to the audience. While I do not remember the material he used – I do remember watching the audience and seeing them constantly smiling – and laughing – and utterly absorbed in Ronnie’s speech. So RIP Ronnie. Small in stature but a giant in your field . You will be sorely missed.